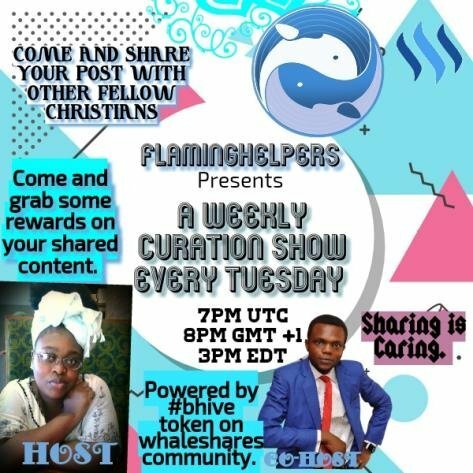 Blockchainchapel Tuesday Christian Curation Night Show With @Seyiodus On WhalesharessteemCreated with Sketch. Hello everyone, today is another TCCNS on whaleshares discord server. There is a lot that is going to happen on the show from hearing the Word of God together by listening to the different presentations to giving out to all who will present their Christian article. 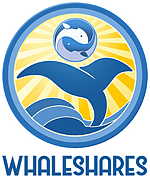 Join me and the rest of the Christian members on whaleshares discord server where the show will be taken place and where you'll further learn more regarding blockchainchapel. When you're on the server and you are unsure of what to try and do, you can call on the show host Altruistic Seyiodus (on discord) or @Stevenmosoes to direct you on what to do. We will be happy to direct you. Don't forget the time: 2:00 PM EST or 7:00 PM GMT/UTC. we are going to be in the flamighelpers' room preparing for the show.